I’ve been doing a little work on the history of “apocalyptic” in Pauline scholarship, and I’ve got this phrase stuck in my head that I thought I read in J. Louis Martyn somewhere but can’t find it. It goes something like “There was no salvation history before the cross”. 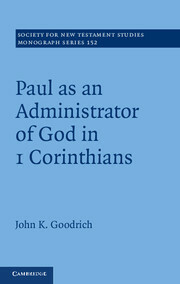 There are surely several places that it could be from–essays in his Theological Issues or in his Galatians commentary. I didn’t find it there in my quick skim through key sections. 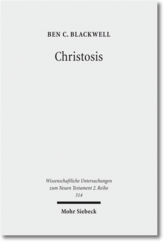 There are a few phrases close in meaning though not in wording in his ‘Events in Galatia: Modified Covenantal Nomism versus God’s Invasion of the Cosmos in the Singular Gospel: A response to J. D. G. Dunn and B. R. Gaventa’ in J. M. Bassler (ed. 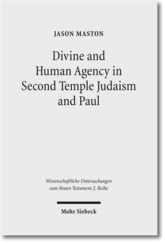 ), Pauline Theology volume 1: Thessalonians, Philippians, Galatians, Philemon (Minneapolis: Augsburg Fortress, 1991), pp. 160-179, esp 171-76. Anyone have an idea where this is, or if I’ve just created it in my head, or if someone else said it (possibly Käsemann)? Also, as a side note, there is no wikipedia page for Martyn. Seems like a hole that someone who knows some of his history should fill in. There are many, many more to be found on a range of biblical and theological topics (e.g., volumes from the New and Old Testament Libraries commentary series, Interpretation commentary series). So, if you have a few minutes to spare while you’re watching the American Idol results show this evening, do check it out… and stop watching American Idol! j/k. What is unique about the commentary? Uniqueness can be good or bad, but the question here is primarily about what justifies another commentary to occupy space on my shelf. Does this commentary have a different approach to the text? Does it concentrate on parallels in ancient literature better than other commentaries? 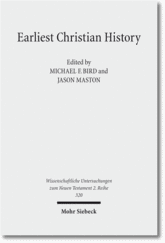 Is the commentary focused primarily on historical or theological issues, or is there a balance between them? Does it come from a particular theological stance, and how does it handles texts that seem problematic for that view? How does the commentary position itself in relation to key current debates? Every generation has its own particularities, and the commentaries should reflect that. Basically, this is a key reason why there is the need for fresh commentaries. The commentator is forced to do two things: be aware of the past and present discussions, well also looking forward. No one wants to write a commentary that is outdated as soon as it hits the shelves, nor do I want to read one that simply repeats what a dozen other commentaries have already said. A follow-up question to this one is: how well does the commentary engage with other positions? I’m not a big fan of commentaries that merely present the author’s take without any real engagement with alternative views. A commentary is not the place for a literature review, but I would suggest that a commentary should also have some good dialogue partners that run throughout. What does the commentary say about key passages? I think this is crucial to getting a good feel for what a commentary is doing. How useful will this commentary be for my students? Since I spend most of my time teaching and addressing students, I find myself thinking more about what can benefit them. This is particularly the case when I’m reviewing a book that relates to a class I teach. Because I do English and Greek based classes, I have two sets of criteria to watch for. For example, does the commentary engage the Greek enough to challenge the students who have Greek, but without overwhelming them? Does it explain things simply enough that the English-only students can still use it? How well is it written? Let’s face it: a well-written commentary is more likely to be used when one encounters an issue than a poorly written one, however good the latter is. During my first semester at MBI I taught a course on 1 and 2 Corinthians. 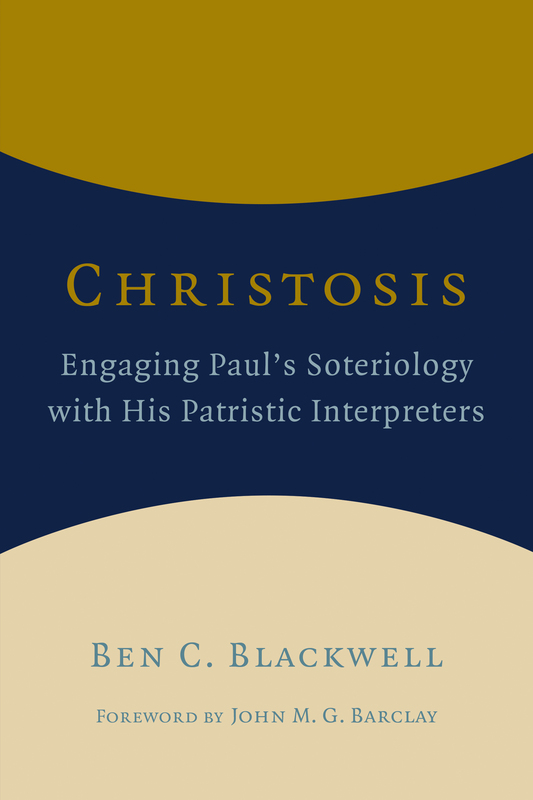 As many readers will know, teaching these letters to non-specialists can be quite difficult, for many of the problems Paul addresses in them assume familiarity with the ancient world generally and Roman Corinth in particular. Therefore, as I prepared to teach the course, I sought to find a video resource that would introduce the colony to those who had never visited. 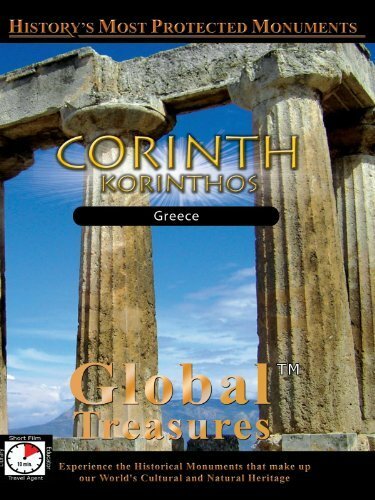 What I found was a decent, though less-than-amazing, DVD that provides the viewer with an 11-minute tour of the ruins of ancient Corinth along with some of its history. The DVD sells on Amazon for $14.95, or can be downloaded instantly for $11.96. Admittedly, the price is a bit steep for what you get, but I was desperate (see the 2-minute preview on youtube). And regardless of the quality, I love videos like this, for they make biblical texts come more alive. When Paul wrote 1 and 2 Corinthians, he was addressing real people living in an actual city — in fact, a quite famous city, whose cultural preoccupations intensely affected and inhibited the maturation of the church. While important aspects of social history cannot be sufficiently communicated in them, videos like this help students at least become a bit more situated in the foreign landscape of the first-century world. I don’t use many other videos in my teaching, though I’m sure my students wish I did! I own the DVD Where Jesus Walked (wow, selling for instant download at Amazon for $1.99! ), though I have not yet had an opportunity to show it. If anybody knows of other video resources that might be helpful in teaching various NT (esp. text-based) courses, please do share them! The University of St. Andrews has just advertised a lecturer position in New Testament at the SBL jobs website. It looks like they want a gospels expert to begin this September, so interested candidates should get their documents in asap. I presume the position seeks to replace Kelly Iverson as he departs for Baylor. Me: That’s a money making kind of book. My books won’t be anything like that. Son: If you won’t make any money, why would you write it? The Wife: (chuckling) He wants to share his ideas and knowledge with the academic world. While some may wonder if my work is even worthy of Wikipedia, hopefully it’s better for the peer reviewing it got. From conversations with John, I know Cambridge spends a good bit more time on copy editing than Mohr Siebeck does.